The Icarus Crossfire is a High Performance Elliptical ZP 9-cell canopy designed specifically for experienced ram air pilots. The Crossfire is Highly and Truly elliptical in its planform shaping on both the leading and trailing edges. The cells vary in width across the canopy maintaining a constant cell aspect ratio to control distortion, and drooped wing tips are incorporated to minimize wingtip drag. Unlike any other 9-cell, the nose is partially formed to give the canopy a more efficient leading edge (much like an aircraft wing). Our nose design not only improves the aerodynamics SIGNIFICANTLY, it also assists in controlling the openings. The structure of the nose also diagonally supports the non-loaded ribs during flight creating further rigidity at the leading edge & reducing distortion during the flare. THE RESULT � An AERODYNAMIC WING with LESS DRAG, INCREASED RIGIDITY & MORE LIFT offering a greater performance than other 9 cells at both low and high speeds. 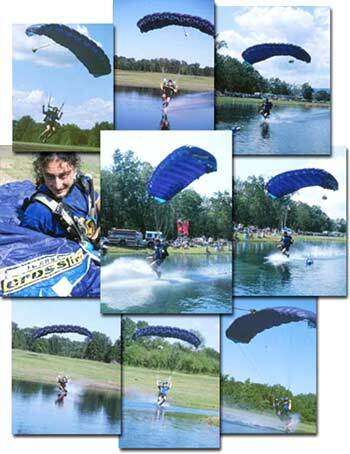 The Crossfire is specifically designed for experienced skydivers wanting Maximum Performance from a Modern HP Elliptical who don�t want to go as far as a Cross Braced Tri-Cell, or for those who have been wanting to fly high performance 9-cells but have been previously cautious about opening issues. THE ICARUS CROSSFIRE: An impressively balanced, No hassle High Performance Wing. Truly Elliptical - High Performance ZP 9-Cell - No Cross-Bracing or Valve Systems - Fully Formed Nose - Superb Openings - Impressive Landings. 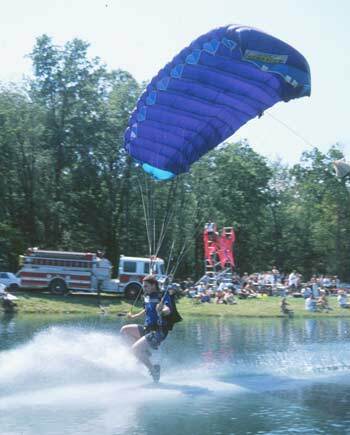 As with all our canopies the Crossfire is available in any size you choose.